My Appointment | Ginger | Book appointments online hassle free. Upon entering Sandton's hidden gem in the heart of Parkmore, you can't stop to recognise the warmest of greetings and fabulous treats on offer at this setting of excitement! A unique boutique salon situated at the creative hub of Johannesburg presents an offering of treatments for All Occasion Styling, Bridal, Brazilian Blow Wave, Colour, Hair Tutorials, Workshops and Professional production presented. Ginger presents an intimate ambience with a portfolio of the very of best hair stylists in Johannesburg catering for your Wedding needs, Production, On Stage, Professional Photography, Hair Courses and Expertise. A very first in South Africa, Ginger an owner run platter of energy, charisma and exhaustive reasons many would believe to be justified to not only visit the salon for his or her next haircut or treatment but the finest roast of the best coffee in town, handmade by Gingers' very own gorgeous Barrista, Jessica! Ginger prides itself on being a salon with the romanticism of experience capable of seducing the senses through its visual glamours and fashion-forward trends, let alone the fabulous founders of the brand, Mrs Jenna Goncalves and Mrs Kelly Fernandes - Penney. 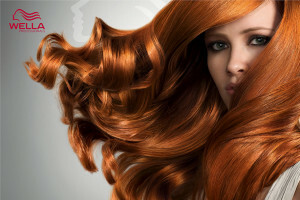 Ginger is a hair salon that allows the entire family to have their hair needs satisfied in one convenient visit. The value for the best in the industry is exceeded with every visit to the salon. With additional services available on site including; Facials, Body and Nail Treatments, Lash and Brow Services, Threading, Waxing, Spray Tanning, Makeup and Massage enjoyed with the finest of champagne or a cup of coffee with a side of the most succulent, home-made Red Velvet cupcakes. Ginger presents an ambience of value associated to the very best in the hair and beauty industry through service and presentation in a creative niche of design for Ladies, Men and Children of all ages needing the personality of fashion-forward trends in hair styling and beauty. Please note: To book colour treatments such as tints and highlights, kindly call the salon directly.